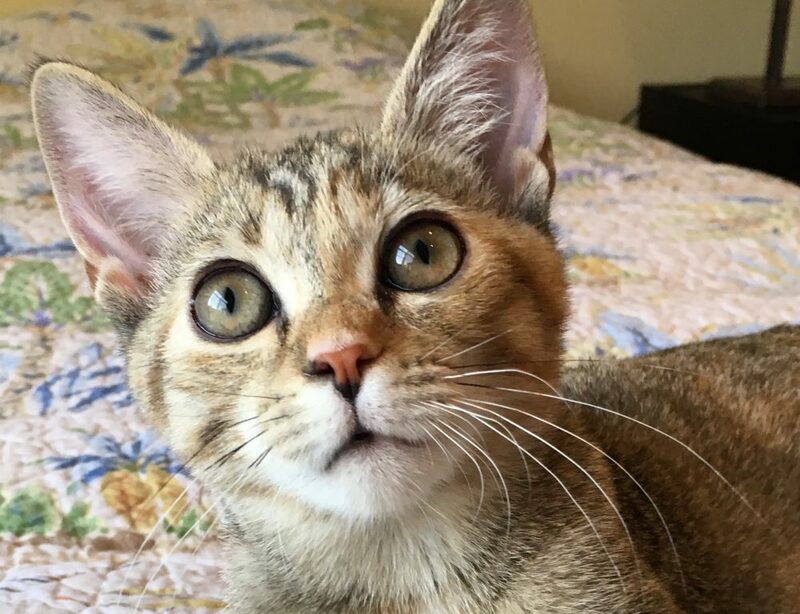 (Adoption Pending) Meet sweet Olive, a lively female brown tabby who’s ready for her forever family! 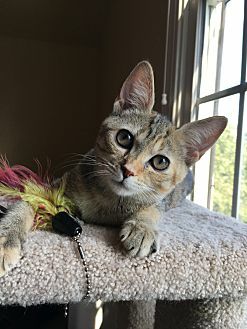 Olive is the leader of the pair, adores being held, particularly high on a shoulder, so she can nestle in your neck and purr directly in your ear. 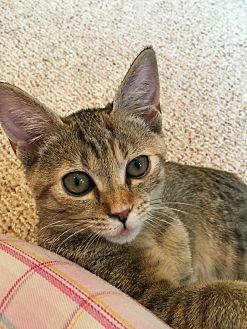 She’ll often roll on her side at your feet to be petted and even comes running when called by name—much like a dog! 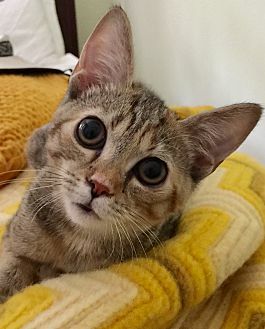 She’s every bit playful as she is sweet, and she loves a wide variety of toys—a crinkle tunnel among her favorite. She also loves being talked to in a high pitched voice. 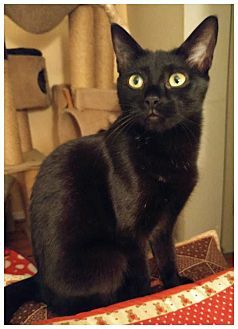 If you’re seeking a social, affectionate kitten full of confidence & curiosity, Olive’s your gal! Olive's birthday is 6/7/18. 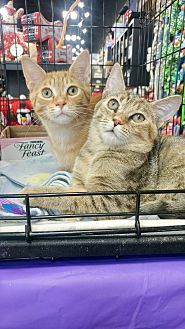 Olive currently “rooms” with her bestie, Chip, an adorable male orange tabby. Olive and Chip were rescued together in July from a Henrico Shelter and have been inseparable playmates ever since. Peanut butter & jelly, bacon & eggs, burger & fries, milk & cookies, Chip & dip...make that CHIP & OLIVE! All better together! These two tabbies are true to one another and are the PERFECT PAIR.